Though the city was very easy to navigate through, I found myself relying on busses. Prague didn’t have as snowy a winter as Wisconsin, nor was it as cold. As a result, rain turned to ice across all the sidewalks, and the many pedestrians let their dogs walk in front of them while they slid across the ground a few feet back. The Czech people seemed to be unaware of how wonderfully convenient salt is when thrown onto icy ground. 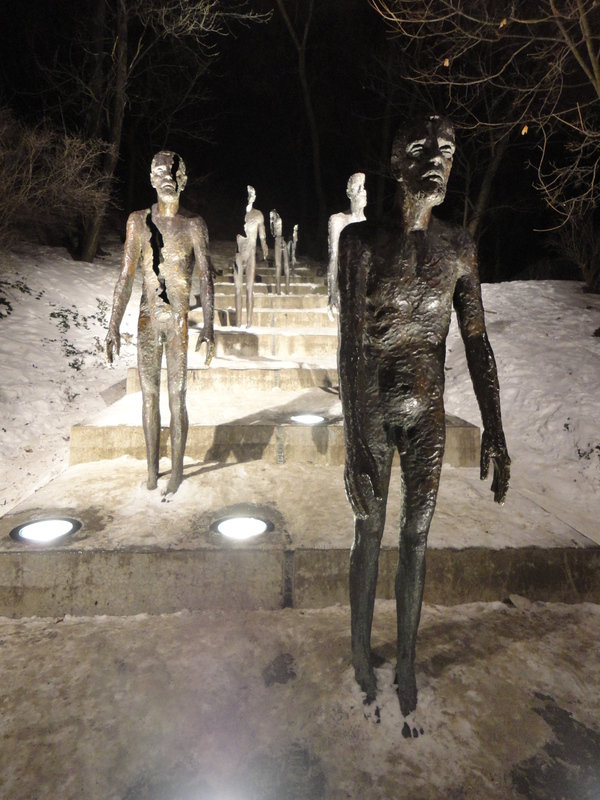 After the bus crossed the Vltava River I disembarked, sliding my way to the castle grounds. After exploring the cathedral and museums inside, I went downtown. Though I’d loved seeing a castle, I had been mostly looking forward to going to the Lennon wall. 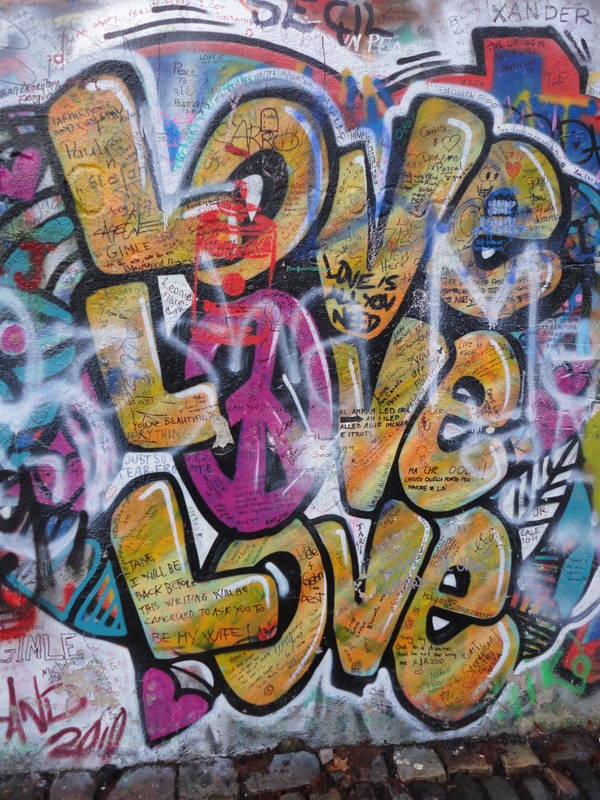 The Lennon wall was a tribute wall to John Lennon. 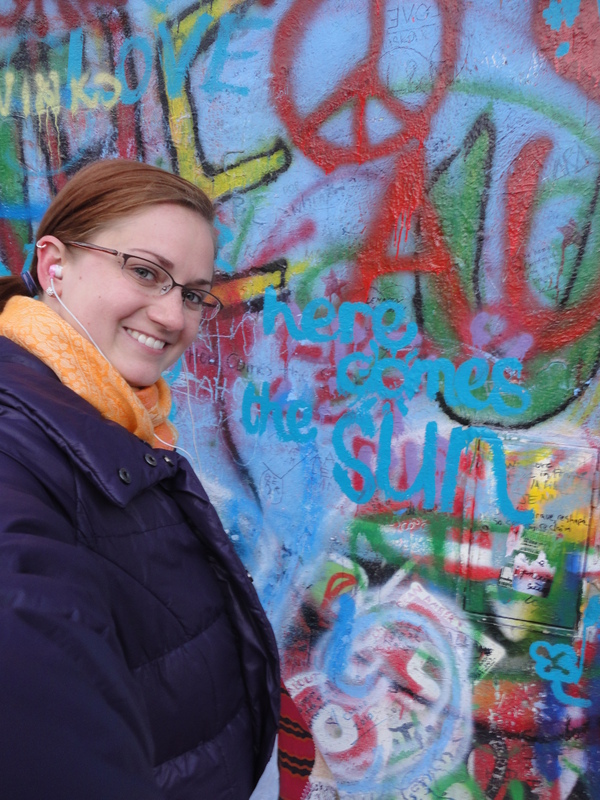 It was covered with quotes and Lennon silhouettes in brightly colored spray paint. 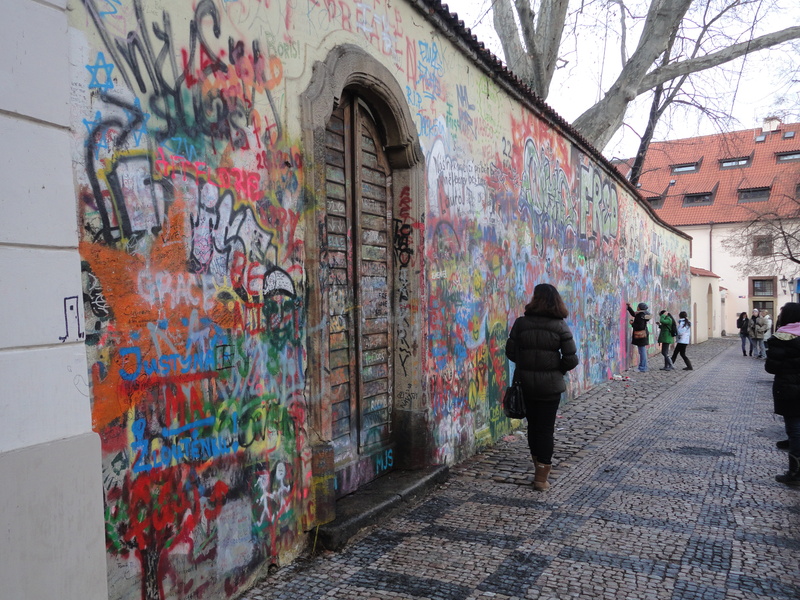 The wall was ever-changing, as tourists and locals alike re-tagged the wall constantly. I walked beside the wall slowly, reading all the recognizable lyrics and examining the repeated classic images of John Lennon’s shaggy hair and round glasses. Many signatures covered the wall, along with a range of dates. I felt through my purse and came across a ball point pen. Pointless. It seemed I would not be signing the wall. Three young Asian women were writing on the wall nearby. They took turns writing and taking photos of each other, holding up the peace sign as they posed. As I neared them, I realized they were Korean. Their names were written in the familiar block shapes of Hangul. “Kim… Sue Young, An Yae Leem…” I read aloud as I walked past. They turned at the sound of their names, surprised to see a white girl reading Korean. “Oh… you speak Korean!” One girl said. “Can we take a picture with you?” The first girl asked. Amused, I felt suddenly like I was back in Asia where it’s fairly common for locals to approach white strangers and ask to take pictures together. After our photograph, the girls let me borrow their paint-filled pens, which were much better than a ballpoint one for a wall signature. I searched the wall for a good writing spot, and tried to think of what to write. Jai Guru Deva Om, I wrote. And then I signed it, Anna Sweet, 1/11/2010. I took a picture of my tagging and began my journey back to my friends’ apartment, mentally singing ‘Across the Universe’ as I walked. After crossing over the picturesque Charles Bridge, I carefully walked the brick streets back to my friends’ apartment. I removed my wet shoes, settled onto the couch, then dug my camera out of my purse and began looking through my pictures from my day. 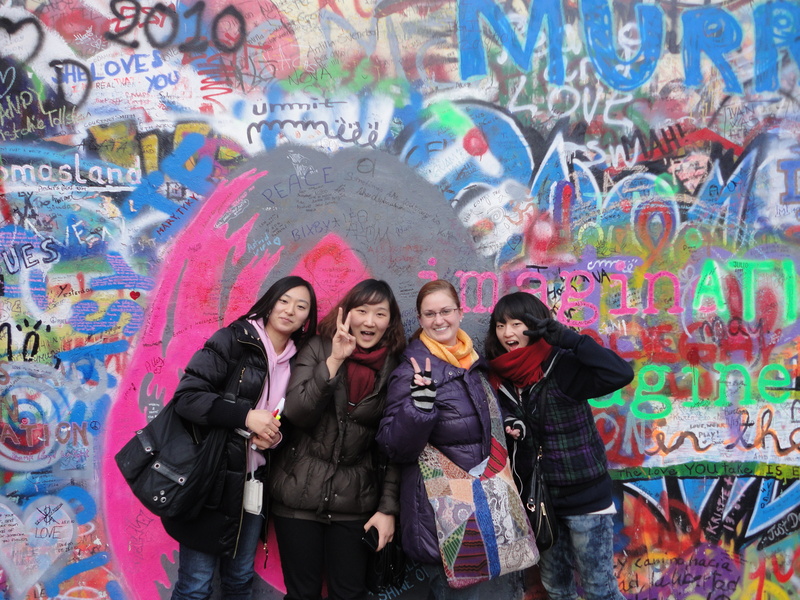 I studied the sculptures I’d found, the architecture I’d seen, and of course, the colorful Lennon wall. “Idiot,” I muttered to myself as I looked at my signature. This January had marked the start of 2011, and I’d written 2010. I glanced up at a calendar, just to be sure. As I did, I realized also that it was January 10th, not the 11th. Basically it was as if I’d visited the Lennon wall a year before the following day. I thought about returning to the wall the next day and re-tagging something more accurately dated. But I decided, since I was on vacation, to just leave it instead. Nice pics. I don’t get out to Prague very often as I live at the opposite end of the country. 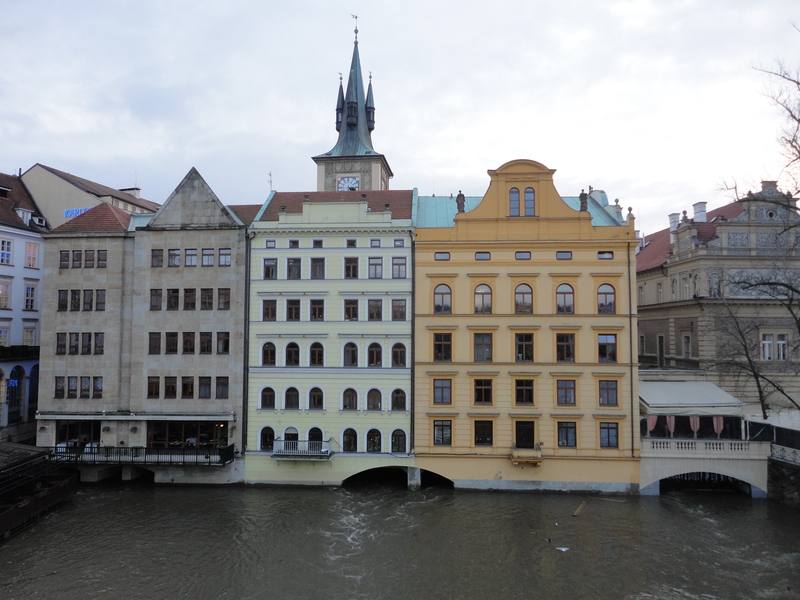 Prague is almost like a completely different country compared to the rest of the republic. 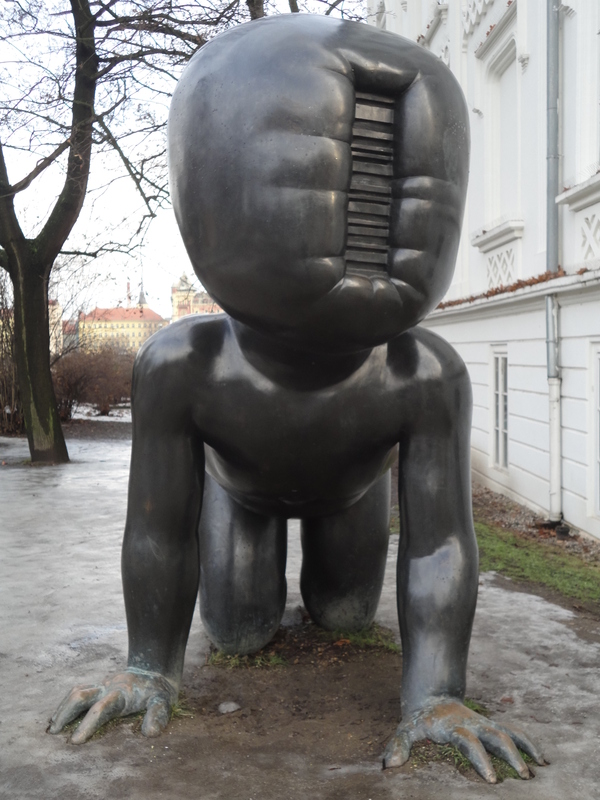 I live in Brno, the second largest city in the country, and it has a completely different flavour to Prague.